Depending on when the tups (or rams) are let in with the ewes, obviously affects when the lambing season will be upon us. Some farmers prefer an early lambing and some prefer later. As the gestation period for sheep is generally around five months, this needs to be taken into account for when the tupping takes place. 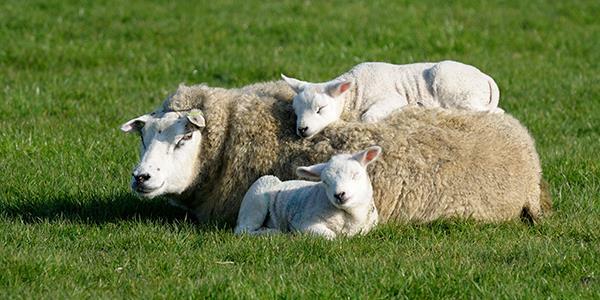 Sheep are generally seasonal breeders and naturally this would result in a spring lambing. At Bleasdale we're hoping to have lambs by 21st March through to April which means tupping is happening with our fluffy inhabitants right about now! The sheep at Bleasdale are mainly Texel Cross ewes, and there are a few Swaledale ewes too. These are run with various breeds of tup, such as a Blue Faced Lester or the Suffolk, to produce nice healthy mule lambs. Visitors to the site last spring really enjoyed seeing the lambs and 2016 will be no different. They will be able to see all the little ones as they venture out and about in the fields. Find out more about our Bleasdale site here.